Rejoice #clockblockers! 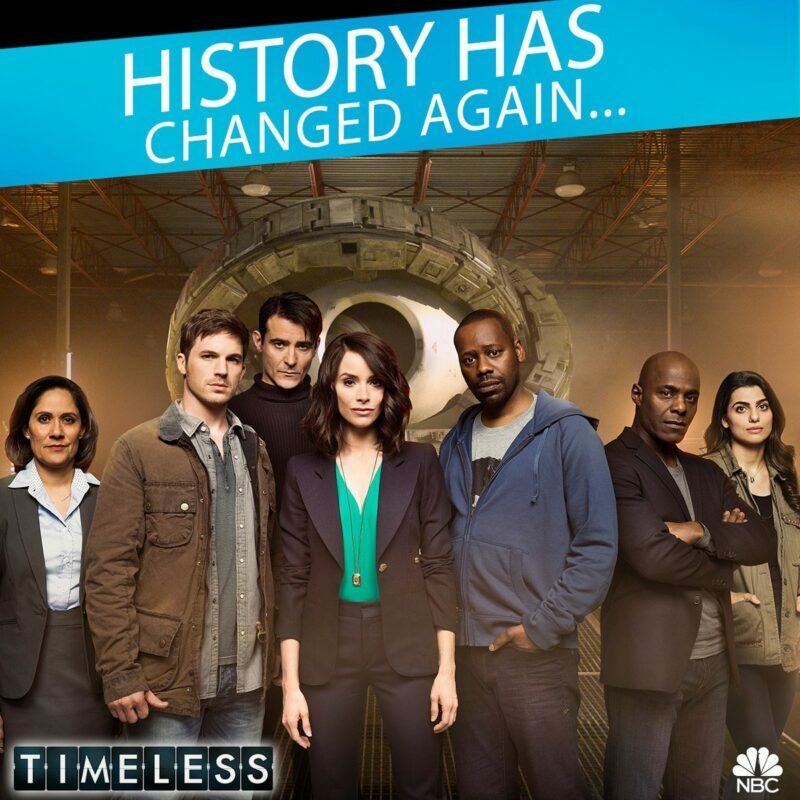 NBC’s Timeless has been renewed – sort of. The network announced today that they will be releasing a two-part finale sometime this winter. In a joint statement, series creators Eric Kripke and Shawn Ryan praised the hard work of the fans. While we wish we could’ve made another dozen seasons of ‘Timeless,’ this is the next best thing. We’re thrilled to take the Lifeboat out for one last spin and bring closure to our story. The studio, network, cast and crew are all doing this for one reason only: the fans. Because they deserve it. Because the fans made this happen and we thank them for their passion, support and helicopters. So? You guys want to get Rufus back or what? When the show was canceled in June, we wrote about all of the unanswered questions the show’s series finale left us with. NBC has quite an undertaking to accomplish in giving the beloved cult hit a satisfying ending. So what do you think? Are you excited to see how they #saveRufus? Let us know in the comments below! John Barrowman Gives A Sneak Peek of a Special Episode of “The Flash”!